The Iraqi military is short of forces to complete operations in Shula do to offensive operations in Basrah, Mosul and Sadr City. 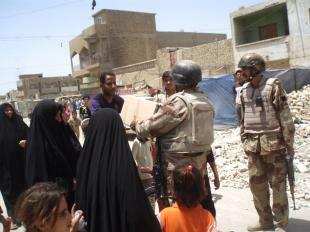 Raids against Mahdi Army leaders and cells continue in Baghdad. The government has initiated negotiations with the local Taliban in Mardan. A bombing in a bazaar in Malakand heavily damaged three CD shops. Sources within the Pakistani Army weighed in on the political debate on impeachment and said Musharraf is considered their supreme commander, as well as the legal and constitutional president of the country.